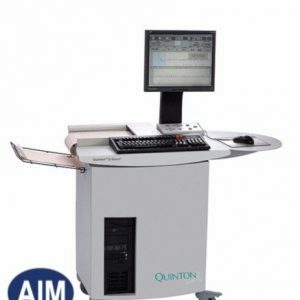 With Quinton’s most advanced stress test monitor, you can test patients on any of our Q-Series treadmills or our Corival 400 bicycle ergo meter. The Q5000’s touch-screen controls make sophisticated operations simple. 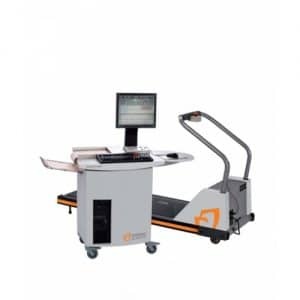 The large, easy-to-read screen displays three channels of real-time ECG plus programmable displays for current averages, resting averages, and trend graphs. 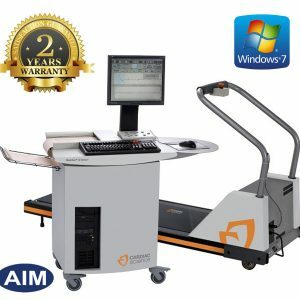 The 20 MB hard disk controls system operation and stores up to 25 sets of test data. IBM compatible 1.2 MB diskettes allow you to transfer data and conveniently store procedures; protocols, waveforms, and custom final-plus expand your system with future software updates. The computer-style keyboard speeds patient data and interpretation entry. And the monitor’s digital chart recorder prints text and extremely high resolution ECG traces.